I'd heard a rumour that a new Mexican restaurant had moved into Swan St and with my love of fresh flavours I knew I had to road test it. FONDA MEXICAN is home to Chef Ravi Presser and Mexican cooking sensation Lupita Manzo, who have created a simple affordable menu of authentic Mexican cuisine using the freshest produce. The name FONDA in Mexican refers to a family home turned local restaurant, a place where you can enjoy food the way mama cooks it. Literally "Mi Casa Su Casa" or "My House Your House". Unlike other Mexican restaurants around Melbourne, there is no ridiculous queue and you do not have to line up at 4:30pm for dinner! While they don't take bookings, the staff work hard to turn around tables quickly without making you feel rushed. There is no table service, simply peruse the short two page menu and order at the counter. Starting with a frozen elderflower and honey margarita (delicious! ), which is served in an old jam jar, I tried the charred corn. I love BBQ corn, but this was raised a notch by the delicious chipotle aioli, ricotta salata and fresh lime that accompanied it. Quite possibly the standout dish. Tortilla chips, guacamole and smoky salsa were also a tasty choice. We then moved on to the 6" soft shell tacos. 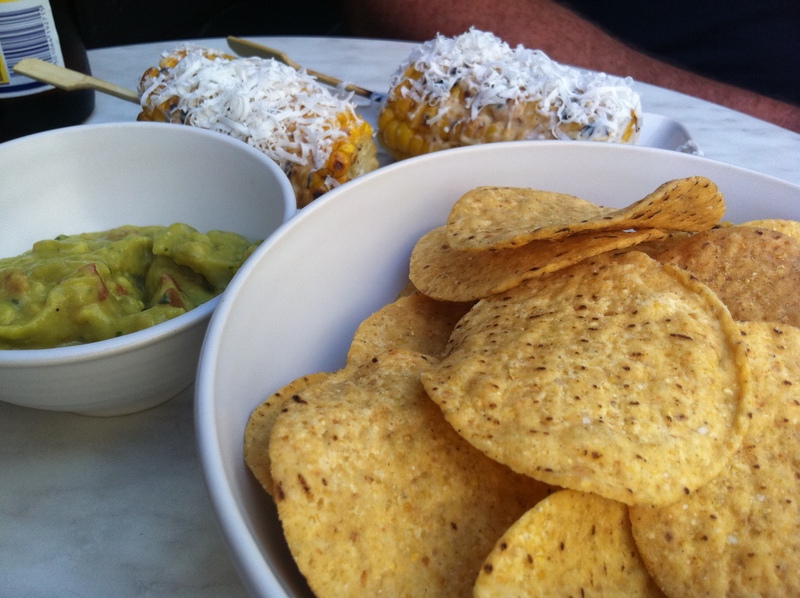 The tortillas are made from corn maize flour and are also gluten-free. There are three options: fish, braised pork and vegetarian. I opted for one fish and one braised pork. The pork is accompanied by fresh flavours of pineapple, coriander, lime and onion. Word of warning, this is very juicy and considerably messy....BUT so TASTY! The fish taco is market fresh fish lightly crumbed. This comes with pickled carrots, onion, cabbage and chipotle aioli. 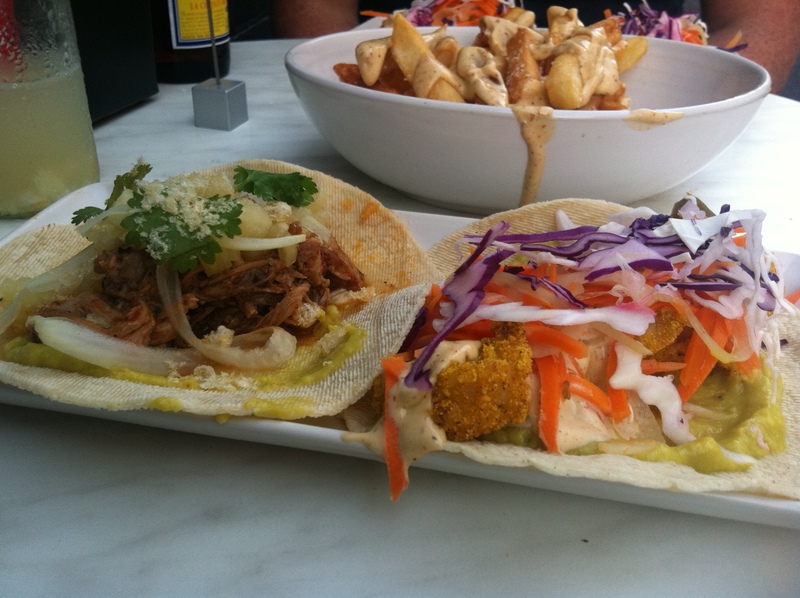 Try the tacos with the fat chips- the perfect way to end a great meal. There are no desserts so load up on the sides. The grilled chicken ensalada also looked very tasty. My advice is to get there before all the cool kids do!